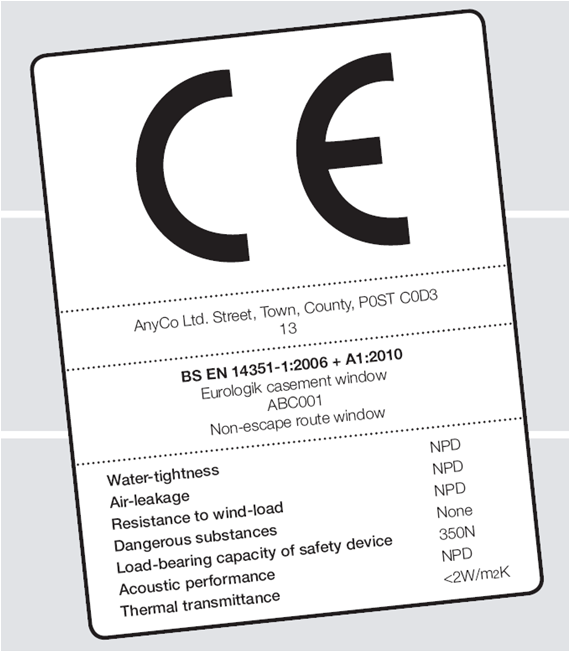 From July 1st 2013 ﻿under the CPR ( Construction Products Regulations) will have to show the CE mark on their lable. This is a legal requirement. To use the CE mark all products used must comply with the relevant standards i.e. desiccant must have REACH regulation. Penalties up to 5K can be imposed for not CE marking or for using the CE mark without compliance. All products supplied by First Class Frames Manufacturing Ltd comply with new regulations. Please see below and feel free to download any of the PDF's you require, email for password. For Customers who buy fully glazed frames please click here for all certificates.